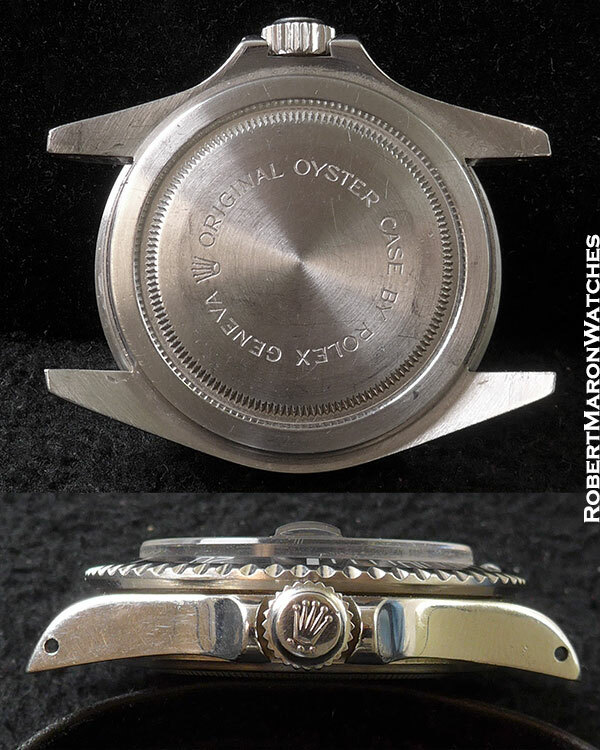 .Everyone knows Rolex made these Tudors because the case back is engraved “ORIGINAL OYSTER CASE BY ROLEX GENEVA” and the crown is a Rolex signed Triplock crown. 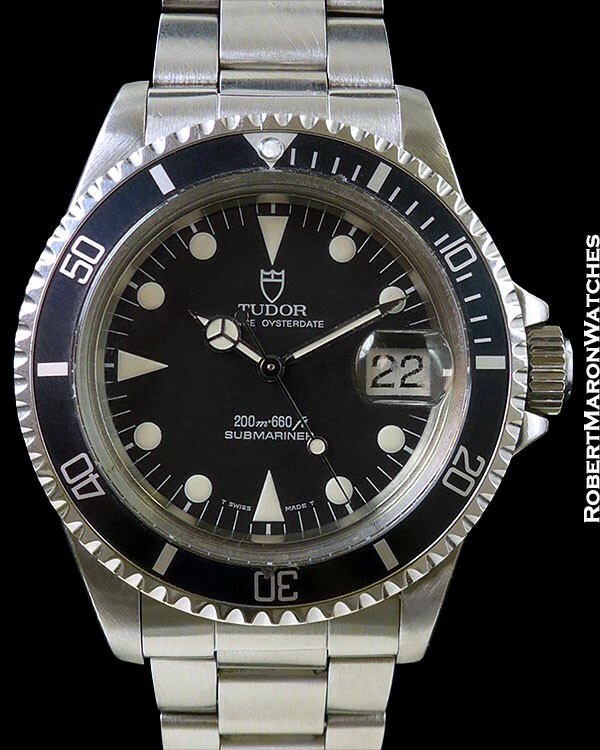 You’re buying a rarer Submariner, believe it or not, when you buy a vintage Tudor Submariner! Steel case is 40mm diameter and is mint+. 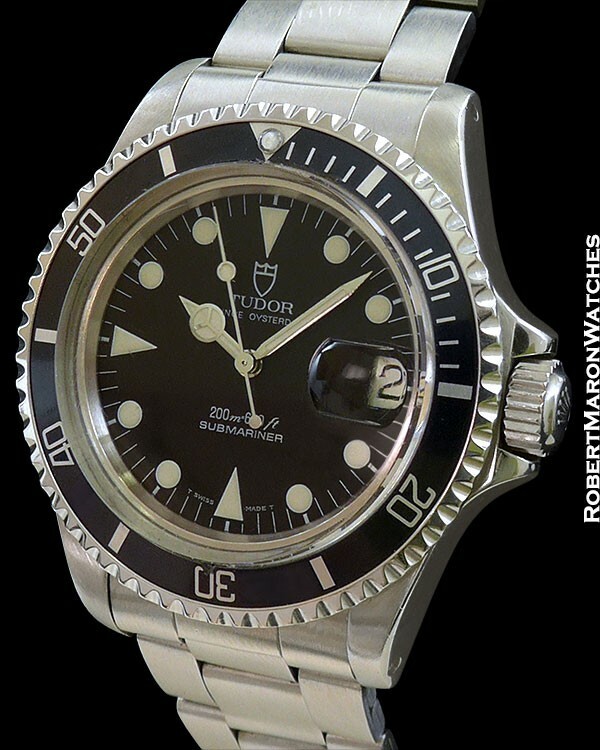 Original untouched Meters-First black dial is mint with date at 3 o’clock and with original hands. Original plastic top-hat crystal. Movement is the venerable ETA 2824-2 automatic winding caliber, which has quick-set date. Bracelet is folded link Oyster with flip-lock clasp. 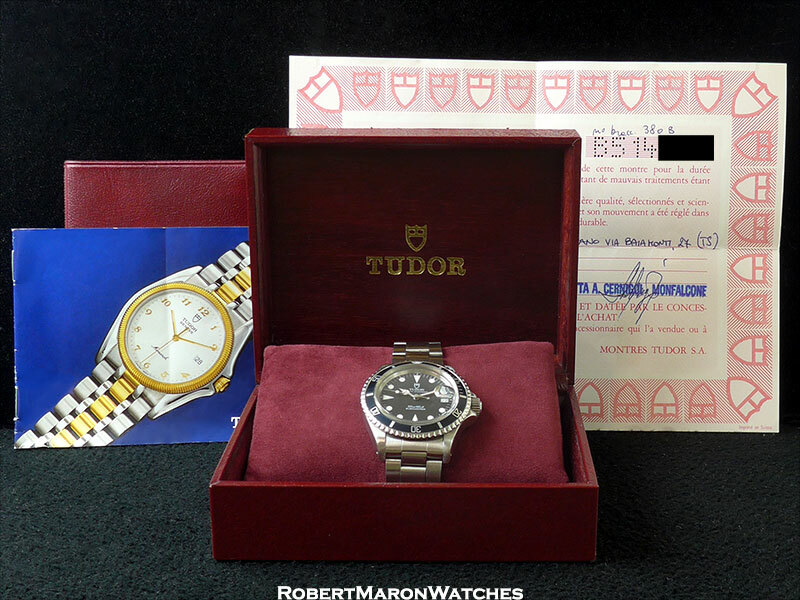 Watch is accompanied by Tudor box and original papers.